We open doors to people wishing to live in their own homes - and to investors looking for high returns backed by real estate. 1,000 families established in their comfortable home in an affordable way. 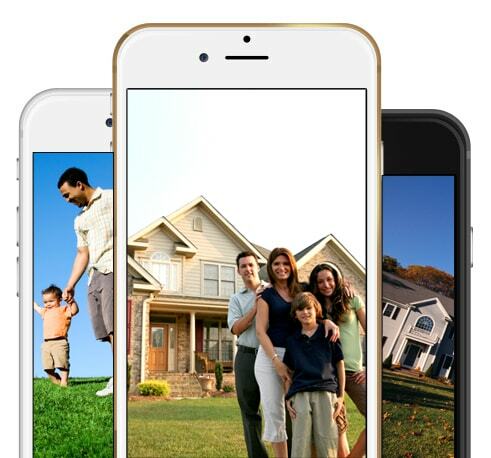 Great Hands-Free 12%+ Backed By Real Estate, While Helping Families. Our unique system generates greater safety, amazing ROI and everyone wins. We want you to become a Philanthroinvestor. That's a philanthropist and an investor. Someone who grows their capital while helping others. We acquire US houses from banks and make them available to investors far below current market prices. Then we find families to fix up, live in and take care of the homes for less than the cost of rent while paying a high return to investors. Equity and Help Inc is dedicated to providing outstanding value to real estate investors and home buyers alike. Using our connections and expertise, we are helping investors achieve their financial goals while making a real difference in people's lives. Help us assist families to reach the American Dream - owning their own home. And receive generous rewards for your help! Click on the button that bests describes you. Investors looking for the security of real estate and purchasing below market properties then helping match deserving families with investor properties is what Equity and Help Inc specializes in. Join our team of international agents. Find out if you qualify here. Turbulent and unpredictable world markets have been giving investors a hard time. Banks are beginning to pay negative interest, so where do you find good options? Surprisingly, there is an innovative real estate investment that is disrupting the real estate investing industry. Find out if it's right for you. Turbulent and unpredictable world markets have been giving investors a hard time. Banks are paying almost nothing, so where do you find good options? Surprisingly, there is an innovative real estate investment that is disrupting the real estate investing industry. Is it right for you?